A Sri Lanka Favourite Number bundle is a great value bundle of minutes allowing you to call a Sri Lankan number on Hutch for 1p/min. We will automatically apply the bundle to your account based on the number you have entered and take the cost from your credit. You will receive a confirmation message shortly after activating stating that it has been applied to your account. You should wait for this message before calling the Sri Lanka Hutch number. We will automatically renew your bundle once it expires – all you have to do is stay topped up and we will take the cost of the bundle and any sharers from your credit (we will remind you to top-up and give you the option to not renew your bundle). We will automatically apply the bundle to your account based on the number you have entered and take the cost from your credit. You will receive a confirmation message shortly after activation stating that it has been applied to your account. You should wait for this message before calling the Sri Lanka Hutch number. To cancel auto-renewal, dial *190# the day before the bundle expires and follow the instructions. Please note any request sent on or after the renewal day will not be accepted. 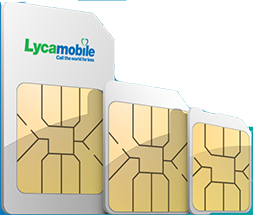 Lycamobile favourite Sri Lankan number bundle (the offer) inclusive allowances are for calls from Lycamobile phones to a standard Sri Lankan mobile number on the Hutch network only. Other usage and usage in excess of your allowance will be charged at standard rates. The offer is valid for 30 days from the date of purchase. A customer may only have one bundle for the same favourite number on their account at any one time. Any remaining allowance after the validity period will not be carried over into the next period should the customer renew their bundle. Customers are able to change their favourite Sri Lankan number before the renewal of the current bundle. Unless the favourite number is changed, auto-renewal will be made on the account with the same number. You will receive a confirmation message shortly after stating that it has been applied to your account. You should wait for this message before calling the Sri Lankan number. Note that promotional credit (credit which Lycamobile has given to customers for free) cannot be used towards one-off and recurring payments for bundles. 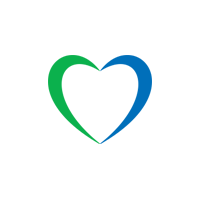 Lycamobile reserves the right to replace or amend the promotion, these terms and conditions or to withdraw the offer at any time on reasonable notice. The offer is for non-commercial, private, personal use only. Lycamobile reserves the right to withdraw or suspend the offer or to disconnect you if we suspect that the offer is being used for commercial purposes or for conferencing. Promotional period: Valid from 11/03/2016.